I offer sports massage and sports rehabilitation therapy as well as pregnancy massage. Sports massage includes deep tissue, cross frictions and the trigger point technique which helps remove waste products from the muscles, removes adhesions and tension from tight muscles, and allows fresh blood to flow in, therefore improving performance. It also promotes the release of the feel-good hormone endorphin. I offer pre-sport and post-sport massage, post-injury massage, or general sports massage for tight muscles brought on by postural imbalances. These imbalances could either be the result of poor training methods, lack of stretching after training, or problems originating from the spine, hips, knees or feet. 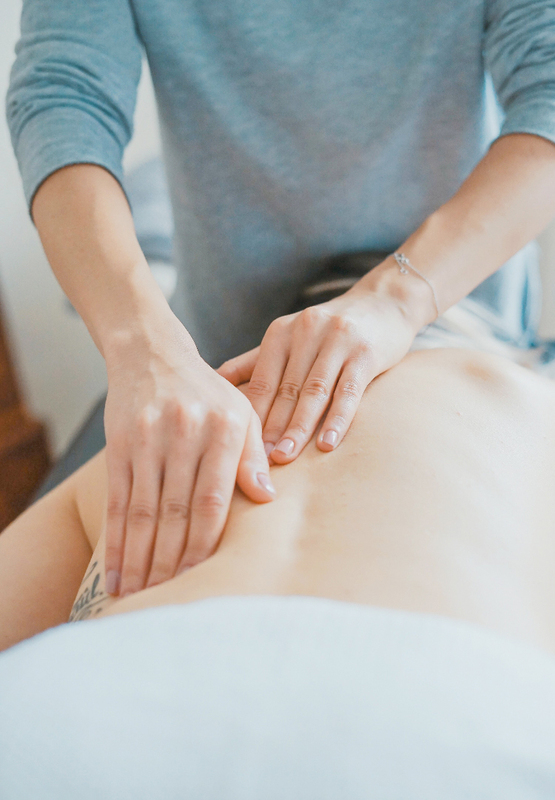 Sports massage isn't just for sports people, and anyone can benefit from a sports massage, from deskbound people looking for relief in tight necks to mom's with tight backs! Massage during pregnancy helps relieve tension in the body due to change of posture and body shape, as well as helping control fluid retention. As the belly grows, you will lie on your side instead of front during the massage, thus still allowing good access to the tight shoulder area, as well as the strained lower back and glutes. Lower leg and foot massage helps to relieve the fluid retention and reduce the feeling of tiredness and tightness in the lower extremities. I use a variety of techniques to help you return to your training, sport or place of work as quick as possible. Whether it be an injury to a muscle, tendon, or ligament, I will aid your rehabilitation with massage and appropriate exercises and stretches. This is also beneficial to overuse injuries such as tendonitis, illiotibial band friction syndrome ("runners knee"), periostitis or compartment syndrome ("shin splints"), as well as general occupational injuries due to overuse and bad posture, such as those stuck in front of computers or behind steering wheels. I use the Swedish massage technique which involves lymph drainage, therefore removing waste products from the muscles and helping to release tension from them. This is great as a de-stressing massage.